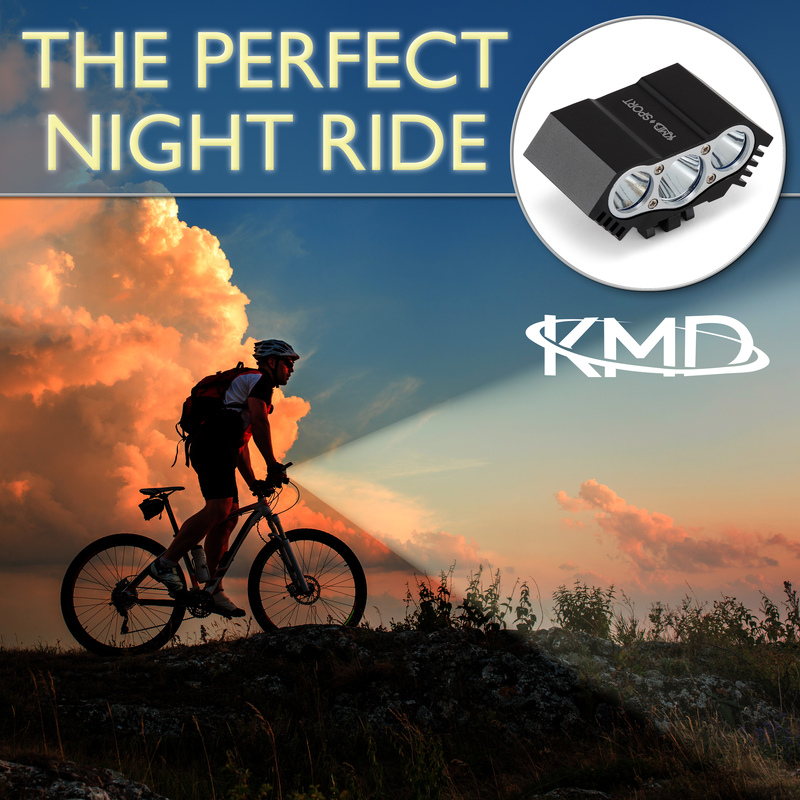 RELIABLY BRIGHT LIGHTING: While other rechargeable LED bike lights cut off a couple of minutes in, drain too quickly, or aren’t sufficiently powerful to light up the path ahead, this KMD SPORT front bike light has (3) CREE T6 LEDs that produce an extra-bright 3600 lumens in a wide beam, features a high-capacity 5200mAh battery, and never disconnects even on rough terrain. So you get an intensely bright LED bike light that stays on for longer without the need for constant adjustment. UNIQUE SMART CHARGER: No more worrying about your battery pack overcharging, short circuiting, or overheating. 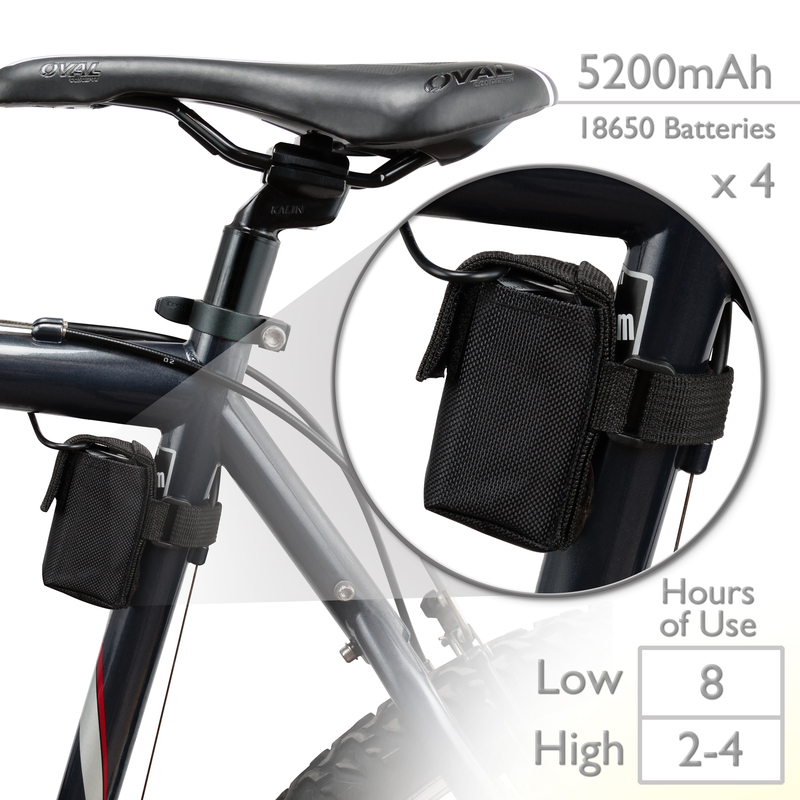 Our outdoor bike light comes with a smart charger to complement the 5200mAh battery pack and keep glitches at bay. Charge your cycling lights that much faster and safer. 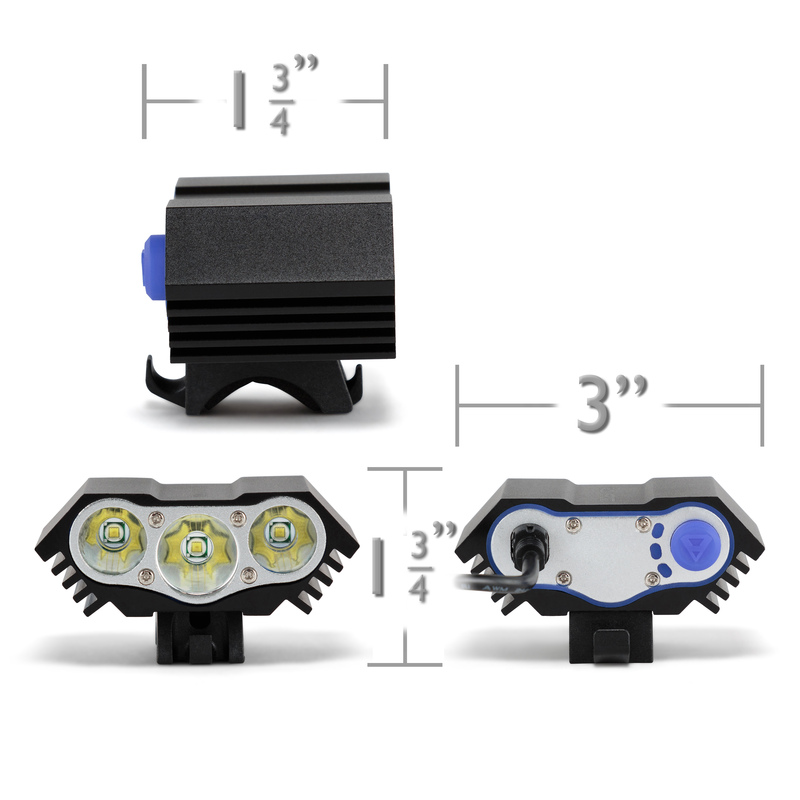 WATERPROOF AND WEATHERPROOF: The perfect accessory to your biking adventures, this heavy duty bike light is rated IP65 waterproof and features an ultra-durable aluminum alloy casing with a wear-resistant anodized finish. Confidently take the bike LED headlight on the most tasking of outdoor excursions. 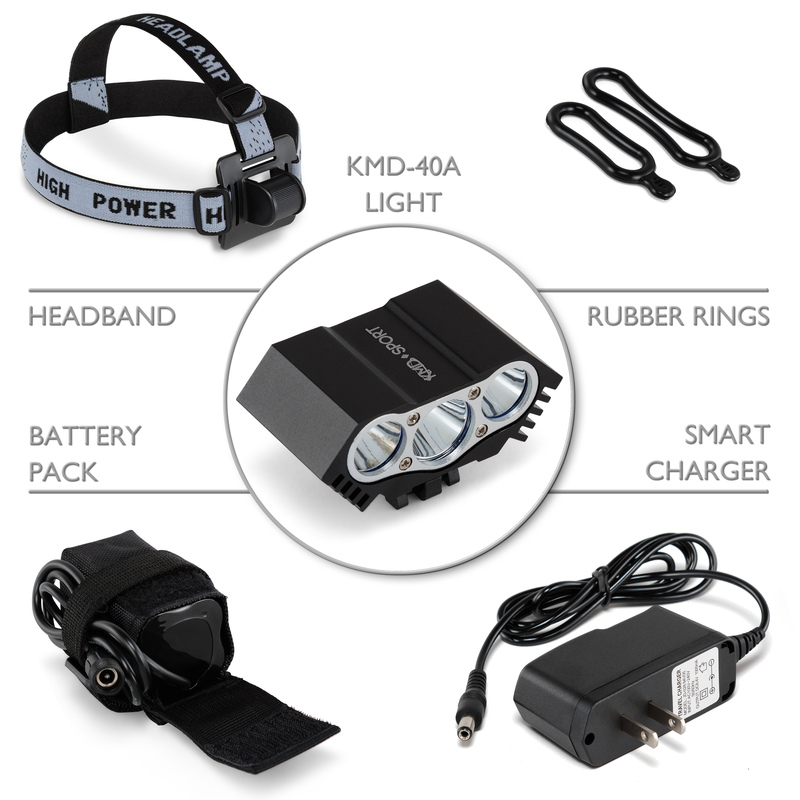 FREE ADJUSTABLE HEADBAND: Enjoy hands-free extra-bright lighting while running, rock climbing, or camping by attaching the portable aluminum bike light to the bonus adjustable headband. Click ‘Add to Cart’ now for an unmatched blend of quality, functionality, and value! 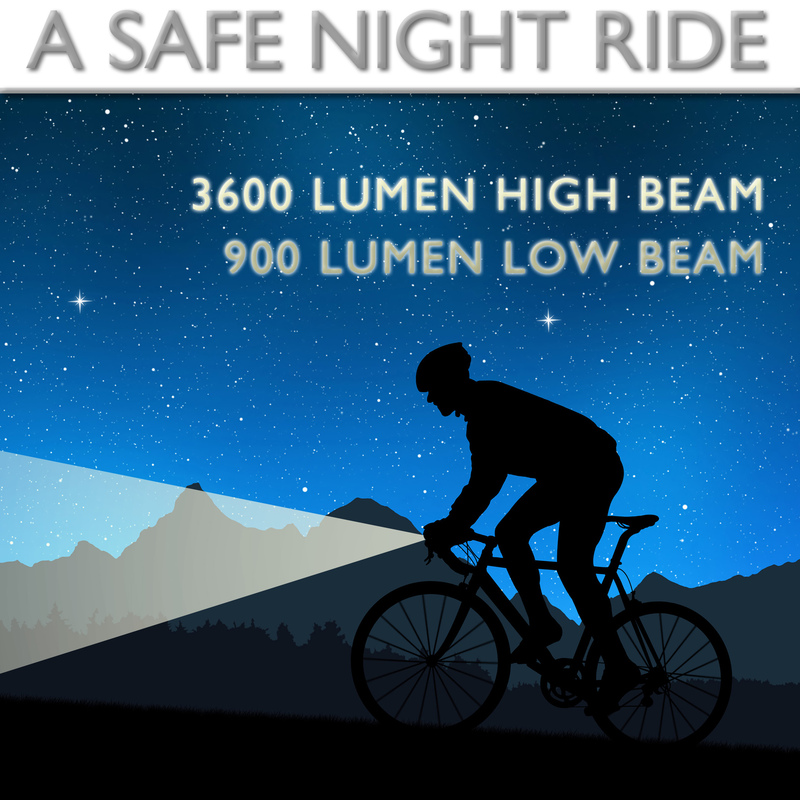 Clearly see bumps, obstacles, and every corner with our 3600-lumen front bike light. 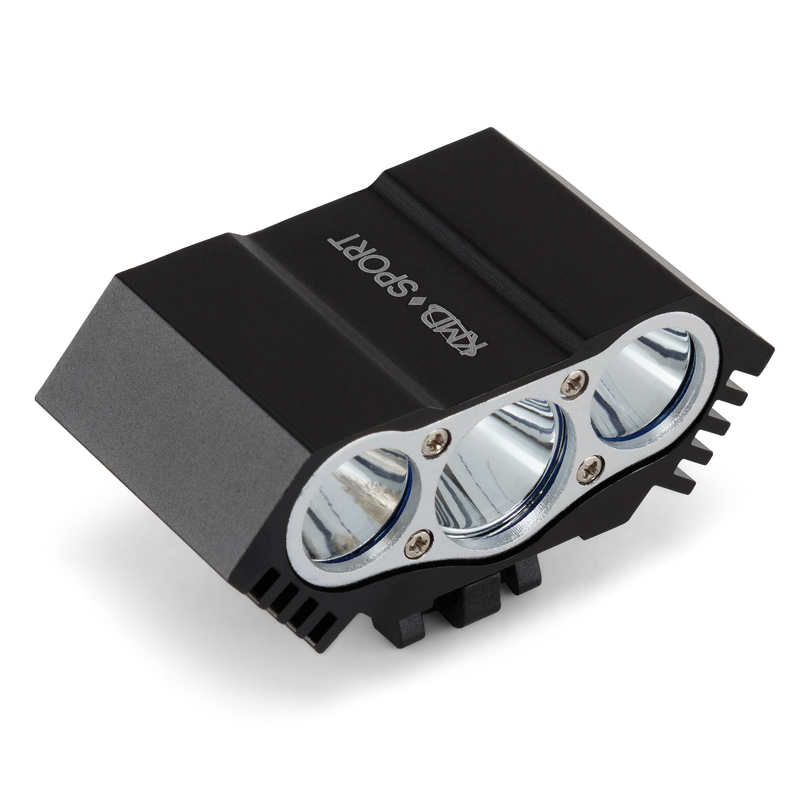 The (3) XML-T6 LED bulbs produce the equivalent light output of a 15-piece CREE Q5 and designed to produce a wider beam for greater spread of light. Easily switch between high, medium, and low settings using the smart switch designed by Third Gear- one of the premier manufacturers of aftermarket motorcycle parts. 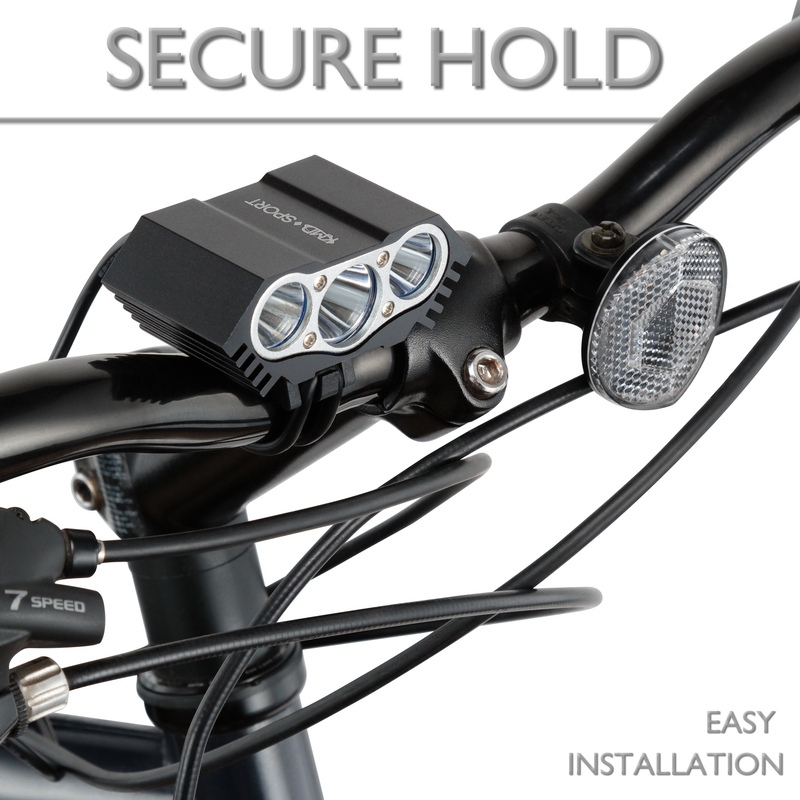 The bike headlight also comes with a power indicator light for easy monitoring of the charge level. 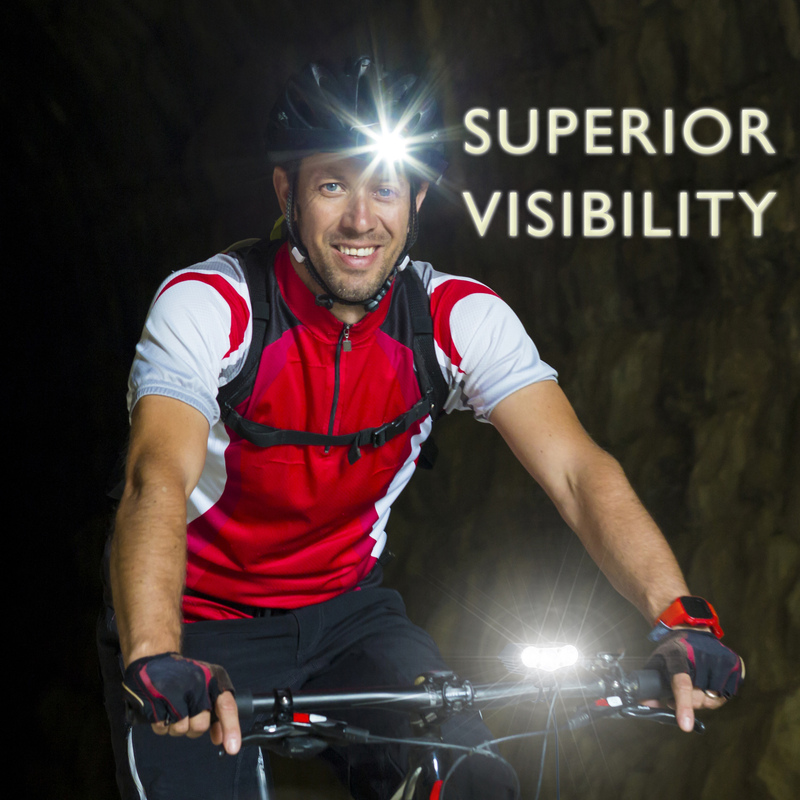 Sleek yet impressively tough, this rechargeable bicycle headlight brings on the durability without skimping on looks. It’s rated IP65 waterproof, sports an aluminum alloy case hardy enough to handle any terrain, and features an eye-catching black finish to complement your bike.